Australian cricket is going through a period of drastic changes. From the Argus report to a new national selection panel, it has been a see-saw 12 months for the once legendary world champion side. It is in these times, the T20 Big Bash League makes it entry as a revamped T20 competition which has a format based loosely on the first three editions of the IPL where eight city-based teams battle it out against each other to declare the T20 champions of Australian cricket. Afridi, Abdul Razzaq and Paul Collingwood, making it highly attractive to bring in large audiences not just flocking the stadiums, but also on the television screens. However, Cricket Australia’s plan to actually prioritize revenues over the traditional home summer seems to be failing at least this year after the national team’s inconsistent performances against South Africa and New Zealand and a huge series coming up against a strong Indian side in the next few days. The main focus of the Australian media has been the performances of Michael Clarke and his side which is in transition after several Test debuts this year and an out-of-form pack of senior players. 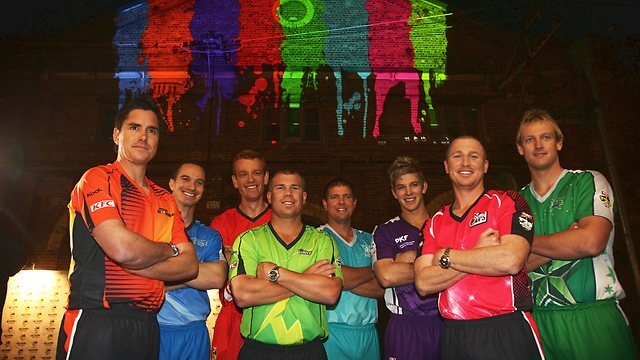 So on what basis would cricket lovers actually go to watch the Big bash games? Agreed that T20 is a different format and more people-friendly, but even the IPL took a year to catch the viewer’s eye and make itself a tournament different altogether for the ordinary fan. It is holiday time for the common man, but not for the players. Michael Hussey for instance, is 36 and has played non-stop cricket since the Ashes last year. And now that he finds himself woefully out of form, he needs time out to rejuvenate himself before the India series. Besides, how can T20 cricket be considered as ideal preparation for a Test series? Hussey faced a similar dilemma in 2010 when Australia had to tour India for 2 Tests but he was obligated to play for the Chennai Super Kings in the Champions League in South Africa. Looks like Cricket Australia has not learned anything from that incident. On the other hand, for the domestic cricketers the problem is compounded. All season, they have prepared to play Sheffield shield matches and have been in Test match mode. With the Big Bash in the middle of the season, they have had to change gears quickly and adjust in a different team environment so as to ensure that their performances are out of the top draw. The Australian selectors will look at the Big Bash as a talent-hunt competition to pick players in the national side and this might cause resentment amongst those cricketers who have worked so hard in the Sheffield shield tournament and are more traditional in their approach towards the game. Definitely, the timing of the Big Bash is controversial and Cricket Australia should not expect a highly positive feedback of the tournament from the general public or the media. Businesses will find it tough-going to market their brands successfully to an audience who is anticipating a better performance from the national team against India rather than Gayle and Warner opening the batting in a three-hours game facing Tait and Nannes for instance.